Steering towards the north side of the harbour, with Quoin, Picnic, Witt and Tide Islands in view, the cruise sailed alongside Curtis Island almost reaching up to Kangaroo Island before turning back around the passage Island. Enormous wharfs of Liquefied natural Gas plants were visible along the Curtis Island shore that exports million of tonnes of LNG each year. Coal, alumina, aluminium and liquid ammonia were amongst the other materials that utilised this large and busy port. I found myself enjoying my coffee and banana muffin immensely as our captain continued to grab our attention intermittently with new trivia each time a harbour island or a wharf passed by. Gigantic booms and jibs patterned varied angles as they lifted and lowered heavy vessels on the shore. The sea was silent, quietly shimmering as it reflected bright sunlight, while the cold wind soared and swooped, shrieking into our ears to make its presence known. Every experience has something unique to offer. Even though it was a short tour on the cruise, I went back home with a sweet memory and learning something new. For me, I think it was the sheer joy of cruising along Pacific Ocean, witnessing the path discoverers once took centuries ago -creating history, that was a delight. Cost: 28$ per adult and 14$ per child (up to 14 years). 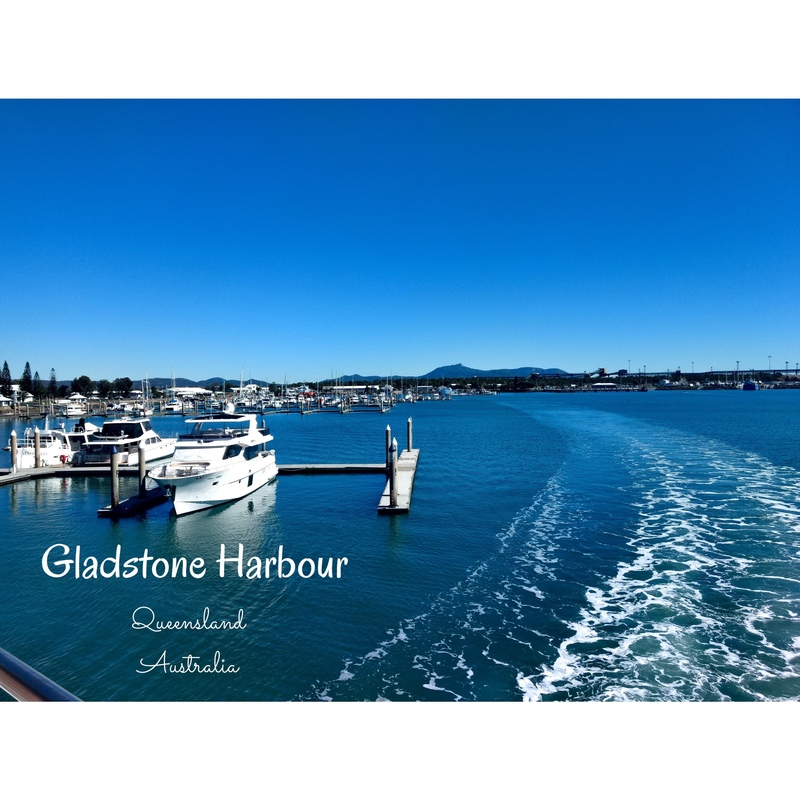 I booked the Gladstone harbour tour here https://www.gladstoneregion.info/contact-us. You can also book it here http://www.curtisferryservices.com.au. It can get real cold in the winters requiring jumpers or jackets.